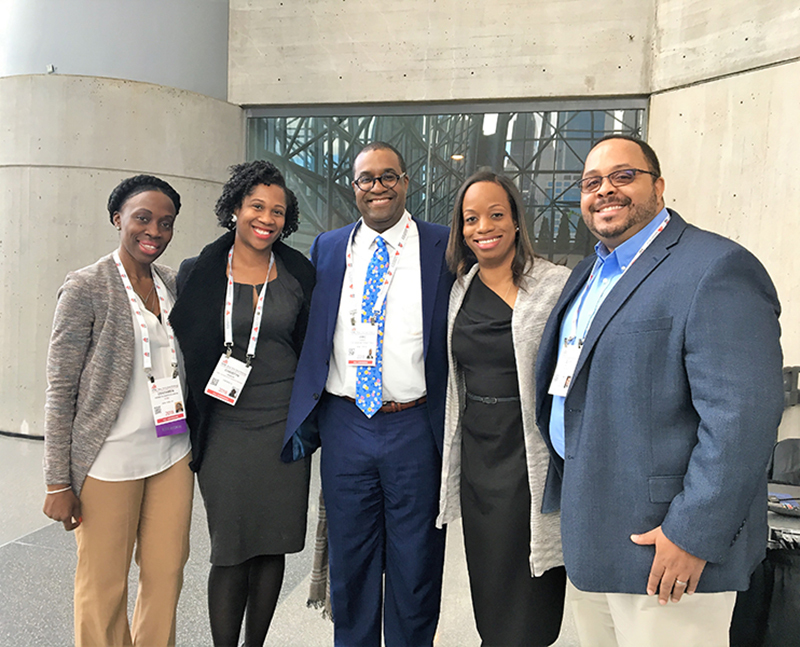 Shown (from left) are: REAP associate program director Osayamen Asemota-Bartholomew; REAP alum Christyn Henson; REAP board member Eric Yarbro; REAP alum and “Tapping Into Underserved Markets” panelist Natalie Hooper; and Quick Mack, REAP instructor and alum at ICSC Deal Making conference. Okoye; Rahel Fikre, Starbucks, panelist. A New York Daily News front-page story noted that REAP board member Eric Yarbro, executive managing director of Colliers International, and his team brokered a mega-deal launching a 17,500 s/f Ikea store in Manhattan working with REAP Chicago alumna Angele Robinson-Gaylord, president of US Property at IKEA Group and an ICSC trustee. 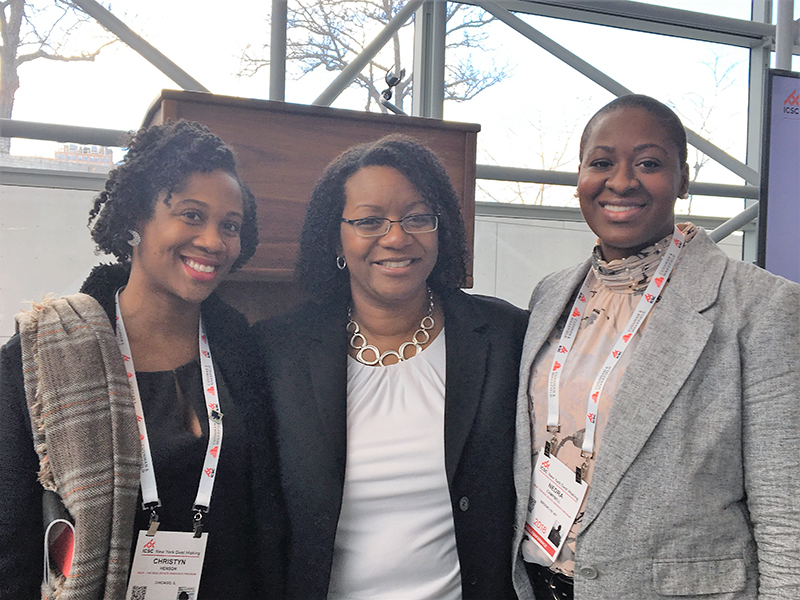 Robinson-Gaylord was the opening speaker for Professional Development day for the December 4-6 ICSC Deal-Making conference attended by roughly 10,000 people at the Javits Center in Manhattan. 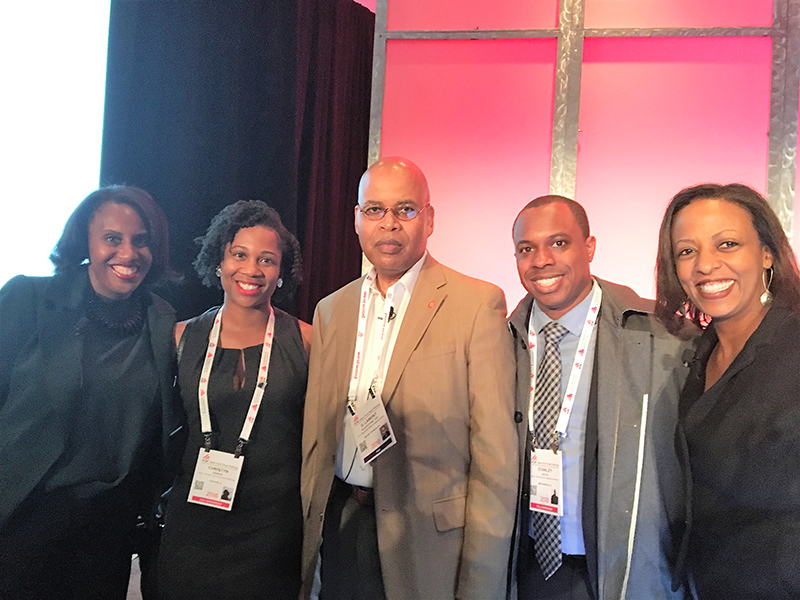 REAP chair Lamont Blackstone, CRX, principal G. L. Blackstone & Associates, moderated a forum on Tapping into Underserved Markets at the ICSC conference where REAP alumna Natalie Hooper, Nike, served as a panelist. REAP celebrated the successful completion of REAP 2018 programs in NYC, Chicago, D.C., Atlanta and Kansas City and its own milestone, its 20th anniversary. ICSC trustee and president of US Property, IKEA Group. “The more becomes known about the accomplishments of REAP alumni and all affiliated with the program, the more applicants we anticipate,” said REAP associate program director Osayamen Asemota-Bartholomew. Candidates for REAP classes, covering all aspects of commmercial real estate and taught by industry experts, can apply through the website (www.projectREAP.org) starting December 17, 2018. Experience in real estate is not required. Applications close January 25. A 501c3 celebrating its 20th anniversary this year, REAP has held programs in nine major cities to date including New York, Washington, Atlanta, Chicago, Los Angeles, and Dallas. The organization counts over 400 REAP alumni serving in executive and management positions with such retail giants and other major firms as IKEA, Target, Netflix, TIAA-CREF, Citi, and Tiffany & Co. REAP’s ties to the ICSC date back to its founding in 1998 by Mike Bush with the support of ICSC and past chair Gary Rappaport. The ICSC has brought to REAP’s board the presidents of many major trade groups, including NAIOP, NMHC, ULI, NAA, and BOMA.